With my skin playing up recently, I’ve been relying on a lot of treatments and ingredients to sort out my complexion. Aside from drinking 2 litres of water a day, these beauties have been helping perk up my skin from the outside and heal up those pesky spots more quickly. Exfoliating and Brightening | With problem skin comes dull skin and boy, has my skin been dull. To improve this, I’ve been reaching for the exfoliating and brightening serums to give everything a bit of a boost. Long term favourite Elemeis Tri-Enzyme Resurfacing Serum has been my first choice to use overnight, leaving me with glowing skin in the morning. One Love Organics Morning Glory Brightening Complexion Booster is the one I’ve been using during the day, as it really makes your complexion look radiant. Hydrating | Hyaluronic acid seems to have had a bit of a moment over the past year or so due to its hydrating properties. So, when I received this serum, I was all over it as I know hydration is super important for your skin. 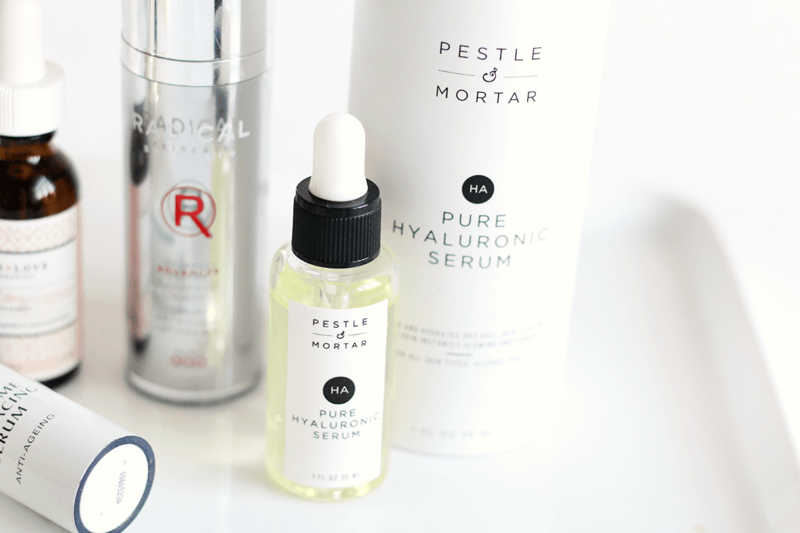 The Pestle & Mortar Pure Hyaluronic Serum is amazing to use underneath moisturisers or oils, as it makes everything work so much better and helps retain moisture in the skin. I absolutely adore the packaging too! It’s a minimal dream. The Powerful All-Rounders | You know those serums that just kind of do it all? They even out your skin, hydrate it and make it look better than it actually is? Yup. The Radical Skincare Advanced Peptide Antioxidant Serum is a great all rounder. First of all, the packaging is ace, secondly it just leaves my skin feeling so nice! It’s plumped up, smooth and more clear looking after I use this. Racinne Ultimate Youth Power Serum is another one that does it all. My skin just looks so much more healthy when I use it and spots seem to go away more quickly too. 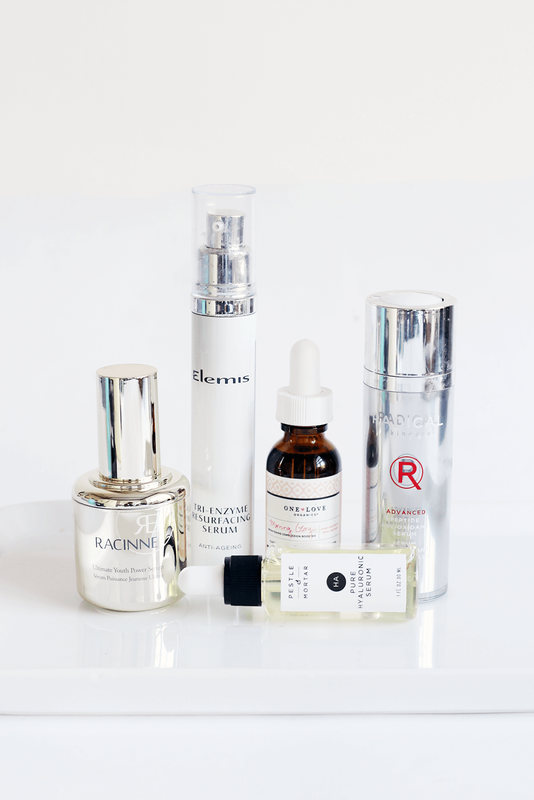 What serums do you use to sort your skin out? Check out my nail polish blog sale – it’ll have to end soon!